Today is mother’s day – and for all you mothers out there – HAPPY MOTHER’S DAY! My sisters and I are really fortunate to have the best mom in the whole world. Sure, I may be biased, but honestly any mother than can raise three daughters deserves a medal. I assure you that we were not all the easiest teenage girls in the world, and yet our mother continuously instilled in us the value of family, friendship, education and respect. We wouldn’t be here today without her (literally!) so thank you mom. We love you. As soon as The Husband and I found out that we would be spending mother’s day with my family, it became extremely clear that I would be making peppermint stick ice cream. 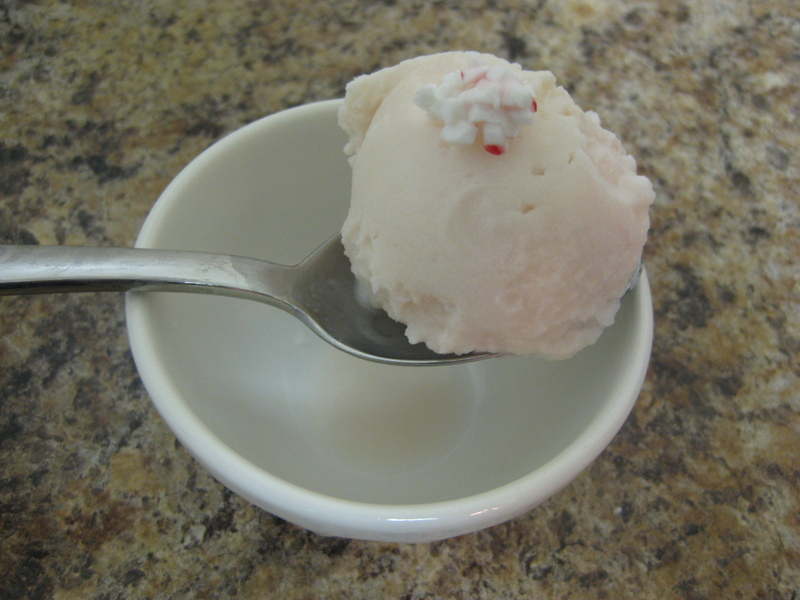 Or should I call it peppermint stick (minus the stick) ice cream. Are you confused? I am. Here’s the back story. Our mom is extremely particular – in a good way – she knows exactly what she wants! Mom likes very few sweet things – and believe it or not, hold on to your hats, she does not like chocolate. Insanity I know. You may wonder where on earth I get such a love for sweets – and that’s very obviously from my dad. 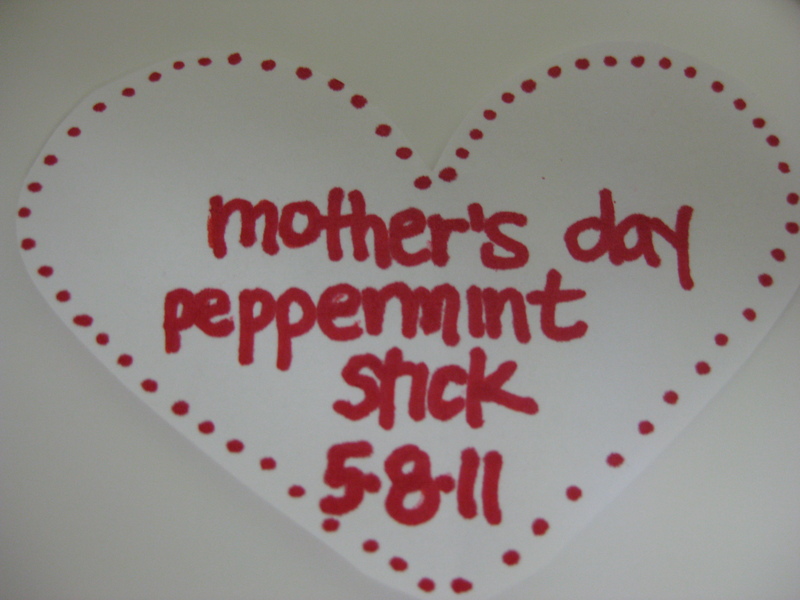 But, the one ice cream that mom really loves is peppermint stick. She loves that the ice cream is so refreshing, a perfect finish to any meal. 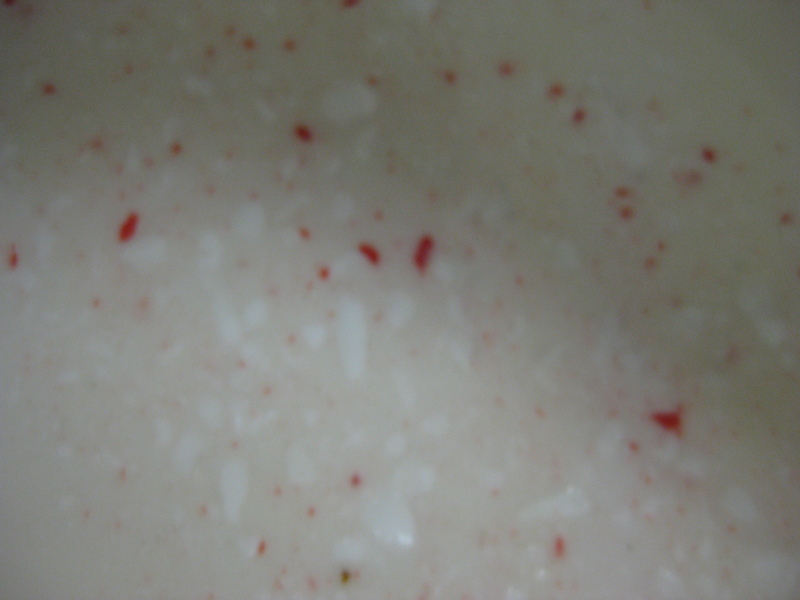 Yet, the one thing mom despises more than anything is peppermint stick ice cream with actual peppermint candy pieces. In other words, heaven help us all if the peppermint stick ice cream has bits of peppermint stick in it, because mom will turn her nose up and decide instantaneously that it’s awful. Thoroughly mix the milk, half-and-half, sugar and peppermint extract with an electric mixer. Put this ice cream base to the side and reserve for later. Next, crush up the peppermint candies. This is a rather tedious process and requires smashing, hitting, sifting and mixing. First, fill a ziploc bag with peppermint candies. Next put that bag inside another ziploc because after about 30 seconds of crushing the candies you will tear through the first bag. Begin crushing the candies by smashing the bag with a rolling pin. 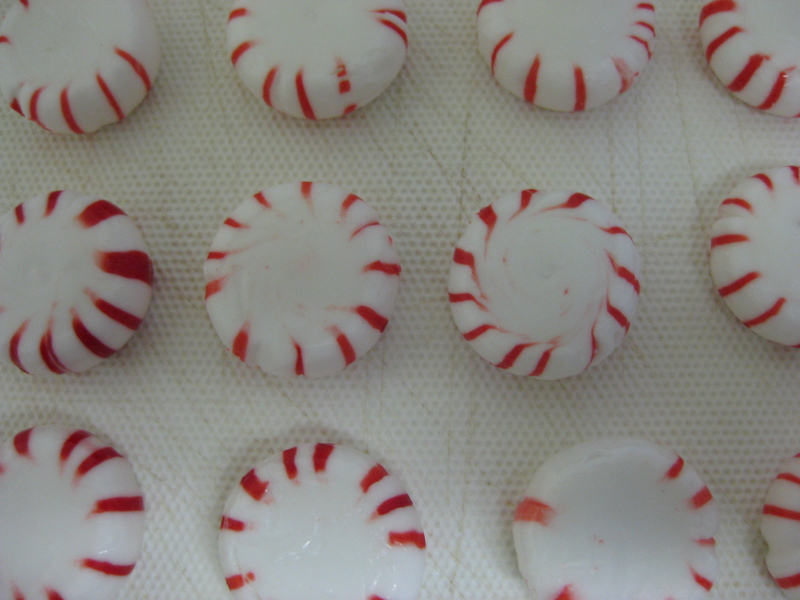 Do this for approximately a minute until you start to see the candies break into smaller chunks and until you see that a peppermint candy “powder” starts to appear. This powder is essentially very finely crushed pieces of candy. Savor this, it comes in handy later on. Every minute, remove the newly crushed pieces from the ziploc bags, and using a colander, sift the crushed candies into the milk mixture and stir gently. Put the candies back into the bags, and repeat this process until you have crushed most of the candies. 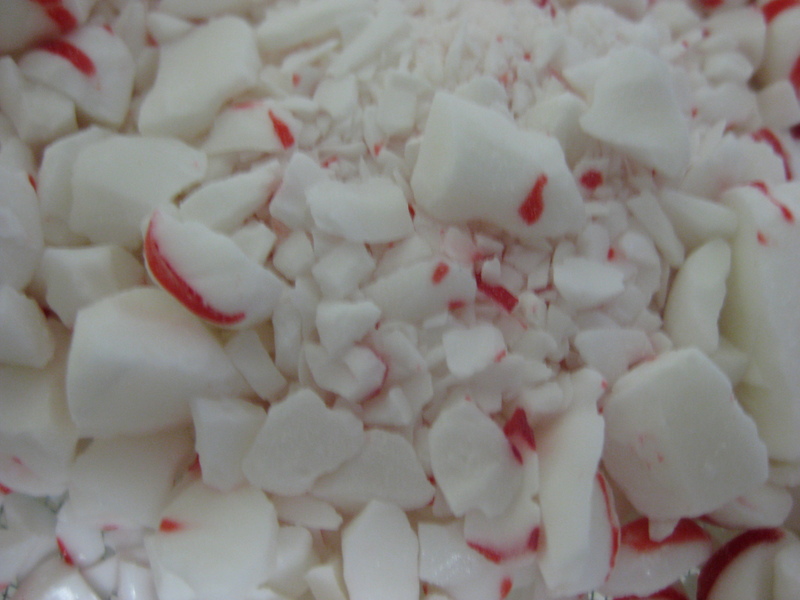 Be sure to reserve a little bit of peppermint candy “dust” to stir into the ice cream once its churned. Pour this mixture into the bowl of your ice cream maker. 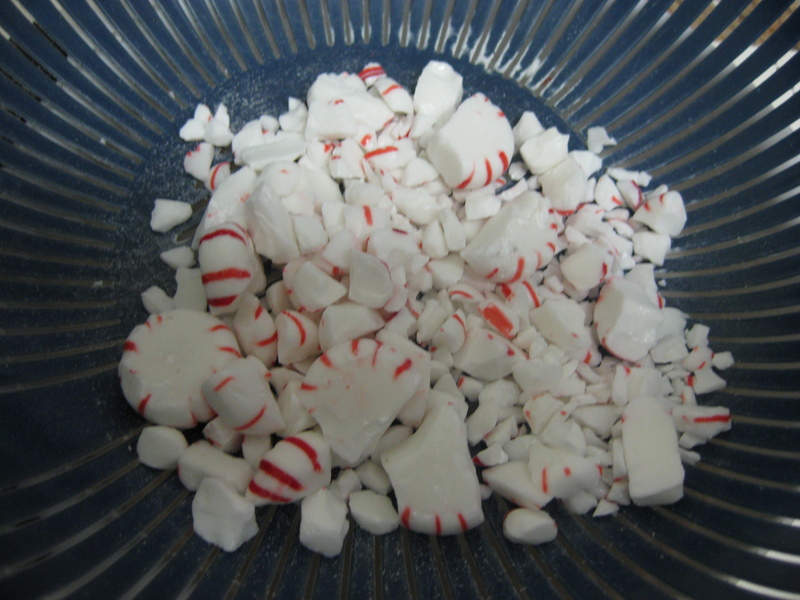 Once poured in, you will notice that all the tiny shards of peppermint candies are stuck to the bottom of the bowl. Turn on the ice cream maker and start churning, and slowly pour the tiny shards of candy into the bowl of the ice cream maker. Churn according to the manufacturer’s instructions (approximately 20 minutes). Remove the ice cream from the machine, and spoon approximately a cup of ice cream into a container. Sprinkle a little peppermint dust on top. Repeat this process until you’ve used all the ice cream and peppermint dust/chunks. If you want the ice cream to firm up a bit, freeze for 2 hours before serving (I recommend this!). “This is delicious” – The Mom (with eyes bugging out of her head!!). Ladies and gentlemen, I did it. Phew. That was a close one. I don’t bake or cook or make ice cream, but it was fun reading your recent blogs. You are doing a fabulous job with this blog! Great writing, great entertainment, and apparently great tasting ice cream! Because of my lactose intolerance, I am curious about the full story about frozen yogurt and whether the cultures are effective enough to break down the lactase. Seems to me that most frozen yogurts bother my GI tract, but that maybe Ben and Jerry’s is easier on my stomach because it is made with higher quality yogurt. Please research this for me. Peppermint Stick milkshakes…two straws please! Hehe. Brings back memories. Loved this post.